There are three self-catering cottages; Rushcroft Lodge sleeps 2-3 in spacious luxury; and the other two sleep 4. All offer exceptional value for money. Lynn has a wonderful eye, and the light, space, airiness and decor of each, and their individual little gardens are absolutely first class. Every detail has been considered. There is also a beautiful colourful Gypsy Caravan in the most romantic secluded corner of one of the meadows. 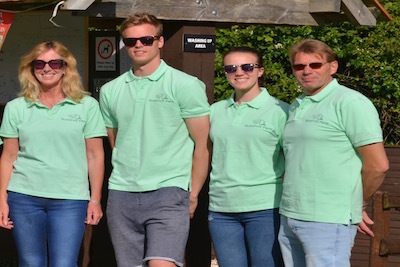 Rushcroft, unusually, provides outstanding accommodation for up to four horses, in large, comfortable, clean and tidy stables, and vast pastures with automatic water provided, and grass, even in the hottest temperatures, negating the need to feed hay. The whole atmosphere is extremely calm, laissez-faire and relaxed. There is also a beautiful outside menage with an assortment of jumps that you can use at any time. Up to 2 dogs are welcome but must be kept on leads at all times. 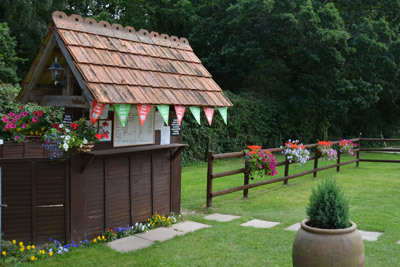 The campsite, which is separate from the cottages, is calm and peaceful, and has 40 sites that can be rotated to provide excellent quality pitches at all times throughout the season. We only invite guests who enjoy the natural environment and we do not accept large groups in the camping fields, where we have a quite by 10.30 policy, so that everyone can enjoy the tranquility of nature and sounds of the wildlife. 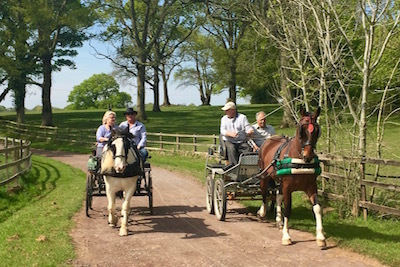 Altogether the Farm covers about twenty acres, hidden away in a little corner of the New Forest, minutes from some of the best riding, walking and cycling that the Forest has to offer. 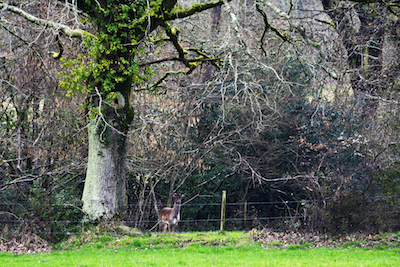 We have deer, badger and fox regularly visiting the farm and you will see and hear many species of birds including hawk, owl, wood pecker and buzzard.The farm is bordered on one side by the Avon Water and on the other by Sway Village. The wild life is beautiful with deer, badgers, owls, buzzards and wild flowers to be seen throughout the farm (especially early in the morning!). 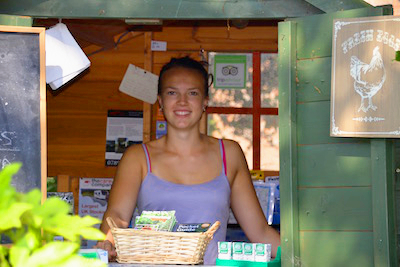 From the farm enjoy a walk into the village and out through the forest with miles of tracks to enjoy on foot, bike or horseback. Dogs are welcome and you can even bring your own horse! 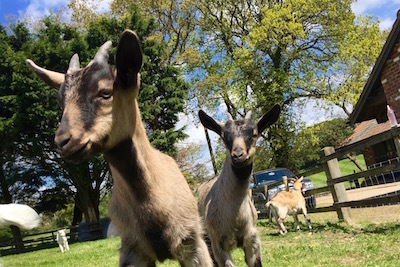 We farm rare breed English Goats, have a fat fluffy farm cat called Smokey, our dogs are two Jack Russel's called Patch and Buster and a Westie called Daisy. Our two horses are called Ace and Teddy (she's a girl!). Open from 9am - 10am daily from 23rd May to 4th September. 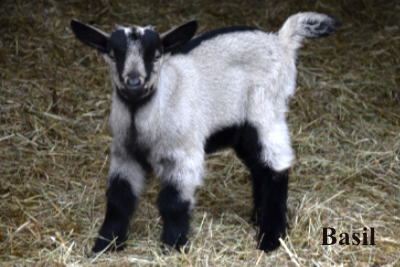 Meet here if you want to visit the farm animals or you need information about the farm, cottages, campsite or local area. 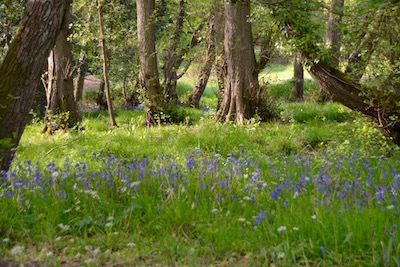 Regular visitors to Rushcroft Farm, the four most common species in the New Forest are fallow, roe, sika and red deer, but there are also small numbers of muntjac deer. 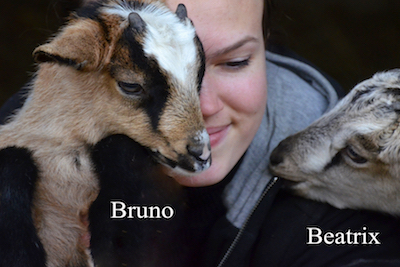 Bruno and Beatrix love cuddles! Bentley's twin brother from our registered English nanny Harriet. 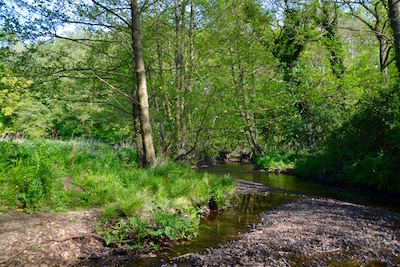 A beautiful place to relax and listen to the birds on a sunny day or catch a glimpse of deer in the early morning. 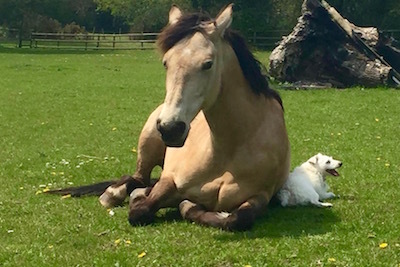 Biscuits is our Mounted Games pony and Patch is one of our Parson Jack Russells. 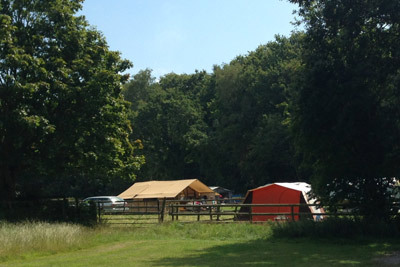 Entrance to the campsite is strictly from the Station Approach entrance. Arrival time is 1pm to 8pm and departure is before 11am.